"Hannah is wonderful and so is her staff. I would highly recommend her." "Always smiling and helpful staff. Hannah is the best at what she does." "This place was great! Staff was very friendly." "I highly recommend Hannah...If you want the very best, this is where to go." "Hannah is wonderful and took good care of me. I highly recommend Summit PT." "Hannah is the best I wouldn't go see any other physical therapist." 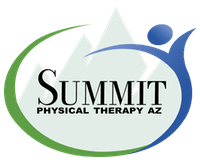 Summit Physical Therapy AZ was founded by physical therapist Hannah Frost, Practice Manager Kate De Jesus and retired veteran Todd Frost to serve the men and women of the East Valley community, including Gilbert, Chandler, Queen Creek, Tempe, and Mesa Arizona, with high-caliber physical therapy services. Our vision is to provide the highest level of care for our local Arizona community using evidence-based treatment with a one-on-one approach by a Doctor of Physical Therapy. Hannah believes in approaching each person as an individual and developing the most effective tactics for their healing. She does so by getting to know each patron and their habits, strengths, and motivations. Because it’s a private practice, Summit can allow sufficient time to provide individualized attention to the men and women who see them. Their patrons appreciate the way the team shows its care through their compassionate, attentive approach. Men and women seek out the practice after they’ve been involved in car, workplace, or sports accidents. The team achieves amazing results with therapy for vertigo, plantar fasciitis, sciatica, spinal stenosis, and pain in the jaw, shoulder, back, and neck. Their specialties include postoperative care, vestibular conditions, and spine conditions. 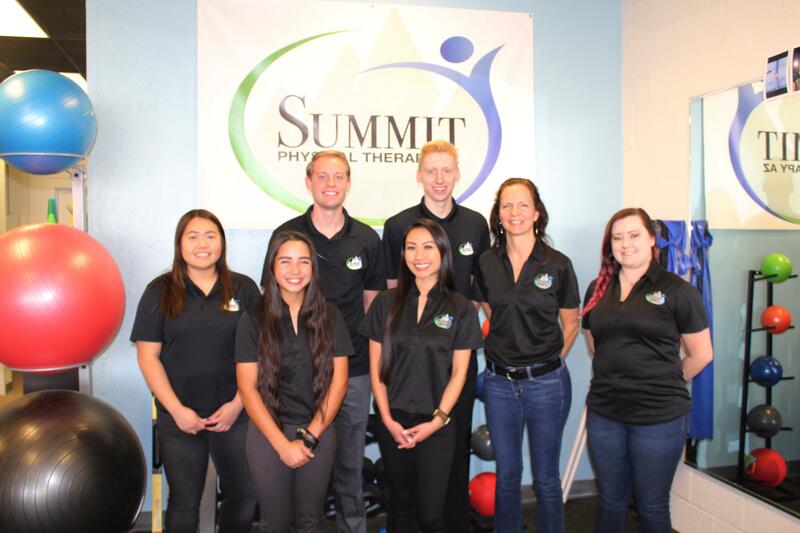 To address those health concerns, the Summit team offers a comprehensive range of services including physical exercises, flexibility training, kinesiotaping, and massage therapy. They also integrate Pilates and yoga and nontraditional therapies like dry needling and cupping into therapy for their unique benefits. The providers pride themselves on making their services accessible with their inclusive environment and extended Saturday hours. Check for availability by calling or using the one-click booking system. Here is a list of insurances accepted at Summit Physical Therapy AZ. If you do not see your insurance provider or if you have any questions about payment, please contact our office. "I got hurt at work and I needed physical therapy and I was lucky to find Summit Physical Therapy AZ. Hannah is awesome. The staff is friendly and very knowledgeable." "Love love love Hannah. She takes her time and is thorough. Facility is clean and comfortable. Staff is knowledgeable and friendly. Highly recommended." "Hannah is very knowledgeable. She takes time with each patient and you don’t just feel like another body. I highly recommend this office for Physical Therapy." "I highly recommend Summit Physical Therapy. Hannah is by far the most knowledgeable physical therapist I have worked with. She is very thorough..."
"I highly recommend Summit Physical Therapy AZ. I am so pleased by how quickly I had great results. My overall state of mind improved as well." "I would recommend Hannah to anyone that has chronic pain or even a new issue as she is very knowledgable on her treatment techniques and can relieve the pain..."
"Hannah is the BEST! Very compassionate! Her knowledge has helped my daughter tremendously! We as a family HIGHLY recommend her!"